Anyone who immerses themselves in James Turrell’s light spaces enjoys a magical experience: the colored, changing light makes the room seem endless. 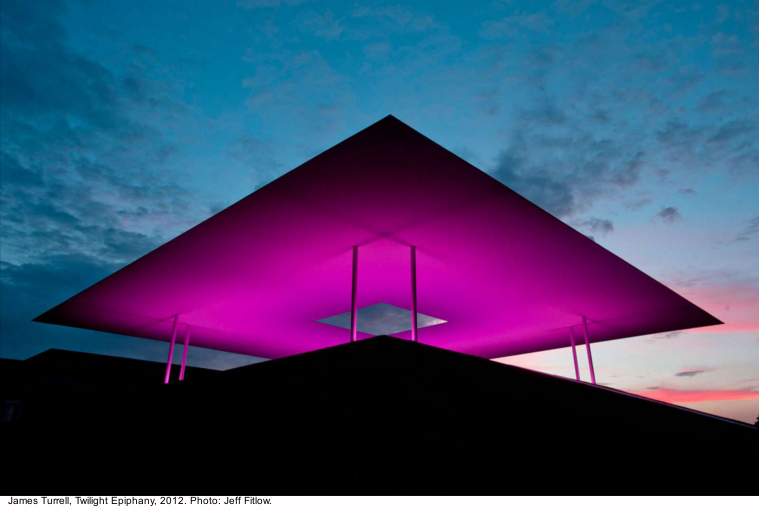 Born in 1943 in Los Angeles, Turrell took an avid interest in flying at an early age. Today, he describes the skies as his studio, his material, his canvas. 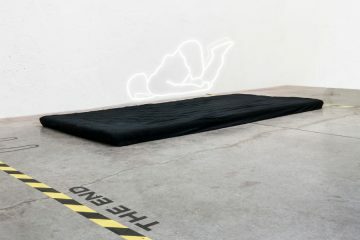 This becomes clear right at the beginning of the exhibition, when visitors are led into the huge light space Apani, which already caused a sensation at the Venice Biennale in 2011. 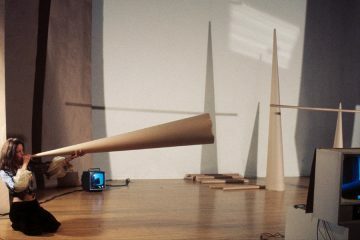 Turrell uses the German word “Ganzfeld” to describe these installations, in which visitors enter a room that seems to have no limits, with its own, especially composed light sequence. 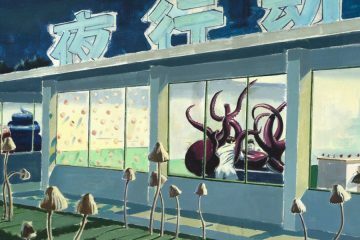 This triggers a paradox phenomenon: the visitor‘s attention turns from outside to inside, changing into a kind of meditative observing. 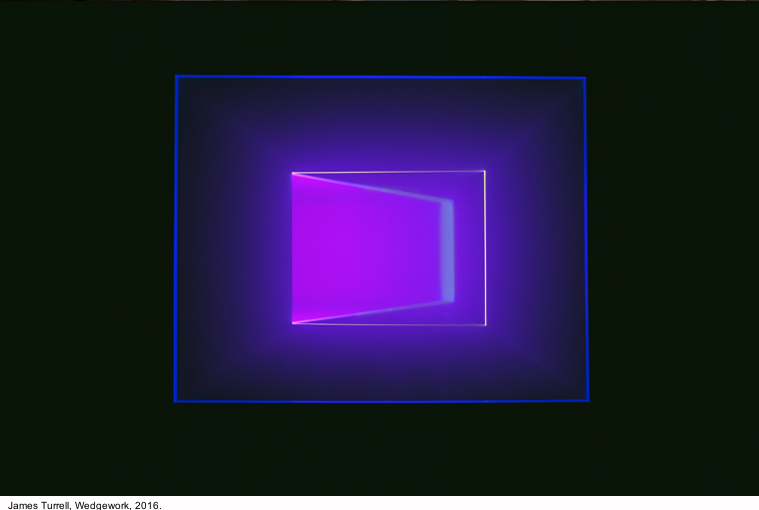 “In a way,” explains the artist, “light unites the spiritual world with the ephemeral, physical world.” Turrell‘s affection for painting is demonstrated by his Wedgework installations. Projections form walls and barriers made of colored light. They suggest a spatial depth but also evoke the monochrome canvases of color field painting. 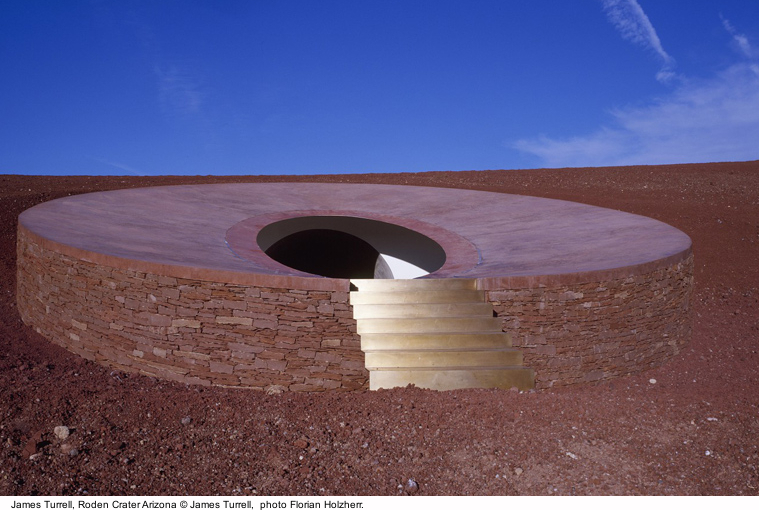 The exhibition also presents Turrell’s most ambitious project, Roden Crater. 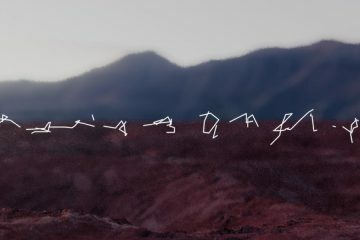 During a flight in the 1970s, he noticed an extinct volcano in the Arizona desert. Since then, he has been converting it into a type of space observatory. This complex of subterranean chambers, shafts and tunnels is like a temple dedicated only to light. A selection of models, photographs and a film documentary provide impressions of the biggest artwork on our planet. Models and prints of Turrell‘s Skyspaces are on show on the mezzanine: this part of the show is dedicated to these walk-in light spaces whose architecture is especially designed to fit in with their surroundings. They comprise both solitary constructions and individual rooms in existing buildings, with apertures in their ceilings, through which one can gaze at the skies as if they were a living work of art. Upstairs in the museum, a small selection of light works is on show. 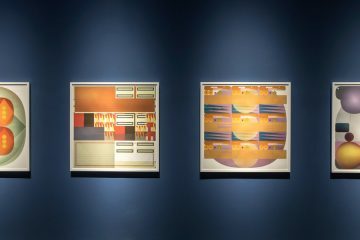 These include one of his Dual Shallow Space Constructions, which display light frames in front of a wall of light or a room of light, along with one of his astonishing Projection Pieces, his earliest series. Here, a projector shines a geometric body of light on the opposite corner of the room. In the cabinet, also upstairs, works never seen before from his two-dimensional Hologram Series are on display. Finally, in the basement, the viewer can look forward to a new creation especially made for the Frieder Burda Collection:Accretion Disk is part of the Curved Wide Glass Series, whose objects slowly change color over a space of several hours. The cosmic aspect of James Turrell‘s art manifests itself here: in astrophysics, an accretion disk is the term used for a disk of gas or interstellar dust orbiting around a central body, often a new-born star.